A real American recipe: it’s practically magic. 😉 You take some ingredients that don’t seem to go together and *abracadabra! * Incredibly awesome! 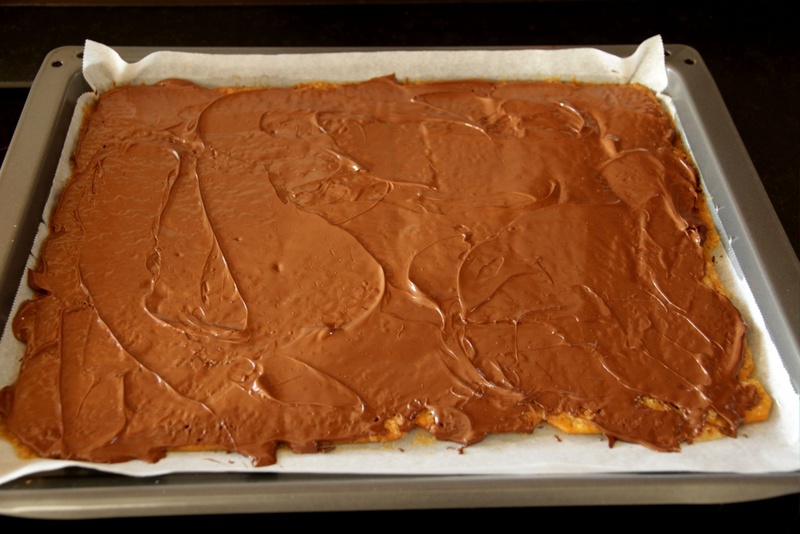 My American sister-in-law always makes this toffee when we visit because she knows how much I love it. 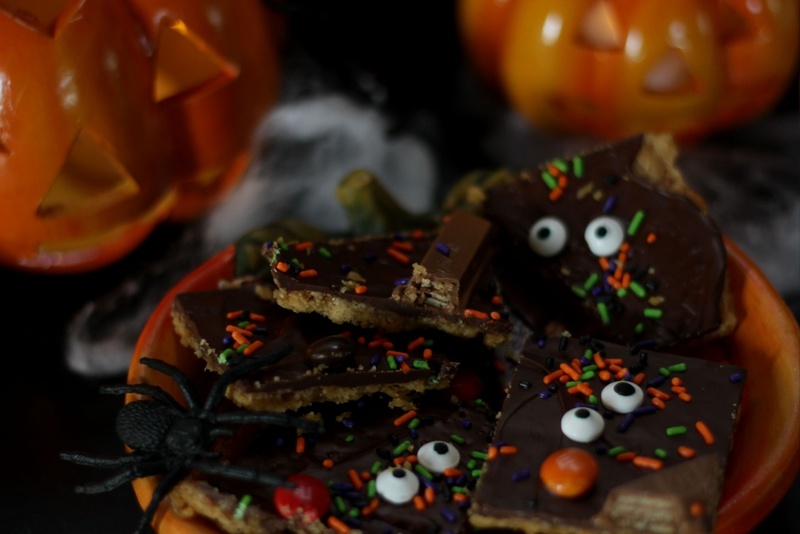 Chocolate Cracker Toffee is sweet and salty, crunchy on the bottom and chocolatey on top. 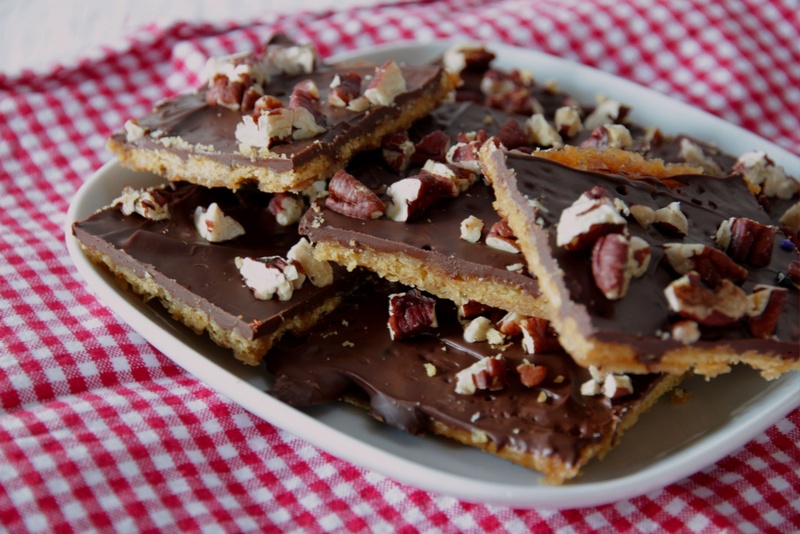 You may know this toffee by another name: Christmas Crack. Is that supposed to mean that the toffee is as addictive and irresistible as drugs? Well it is! It’s time to embrace your inner American and make some Christmas Crack! For Christmas, Halloween or any time! It’s super simple to make: boil butter and brown sugar. Pour the hot butter-sugar mixture over the crackers and spread it evenly over all of the crackers. After baking you sprinkle it with chopped up chocolate (or chocolate chips). Evenly spread the softened chocolate. Sprinkle with toasted chopped nuts, sprinkles, candies or sea salt. Preheat oven to 350°F (170°C). 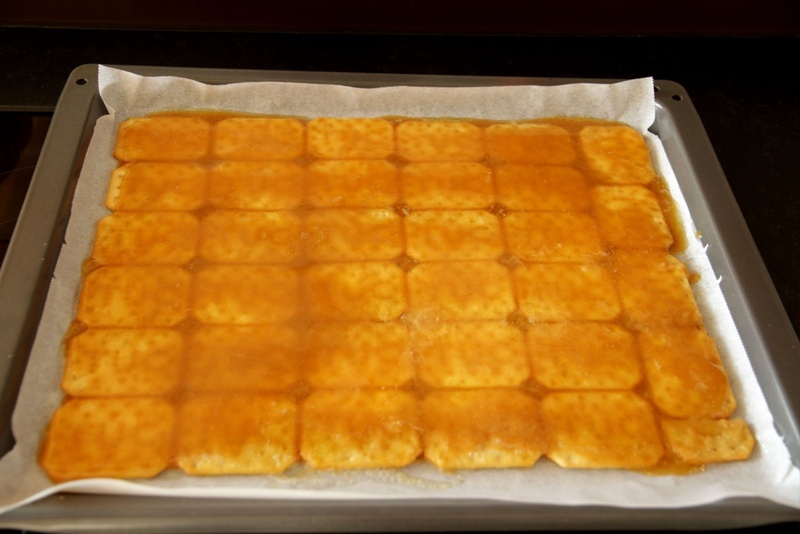 Cover an 11x17 (about 41x32 cm) baking tray with parchment paper and line with one layer of crackers. 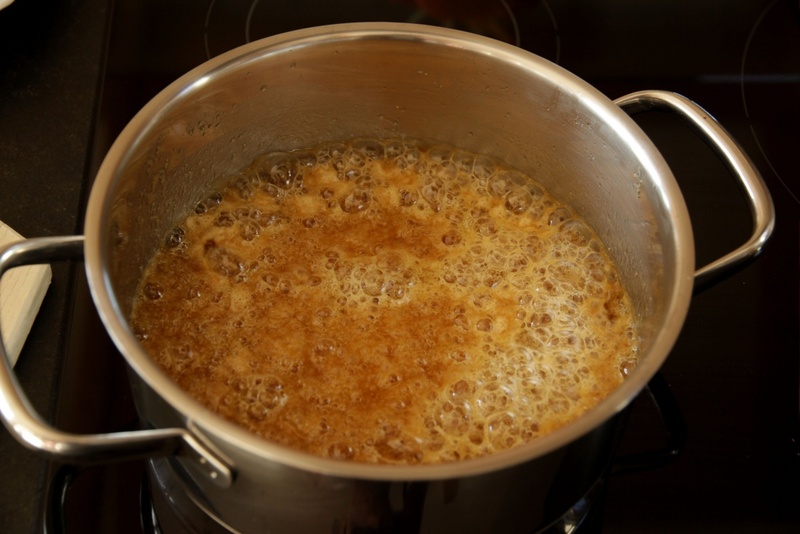 In a medium saucepan over medium heat, bring the butter and brown sugar to a boil, stirring frequently. Boil for 3 minutes. Pour the hot butter and sugar mixture (caution: very hot!) over the crackers and quickly spread to cover all the crackers. Bake for 7 minutes. Remove from the oven and turn oven off. Let toffee stand for 1 minute. 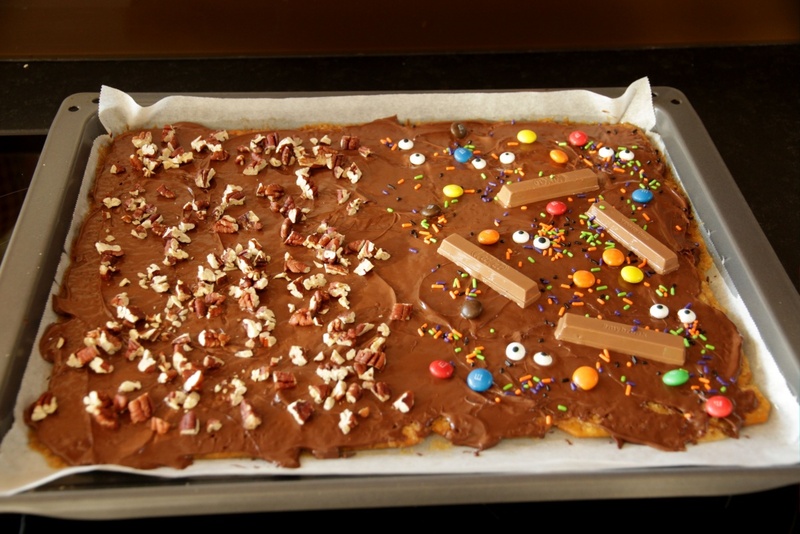 Sprinkle the chocolate evenly over the toffee. Return to the oven (heat turned off) for 3-4 minutes until the chocolate has softened. 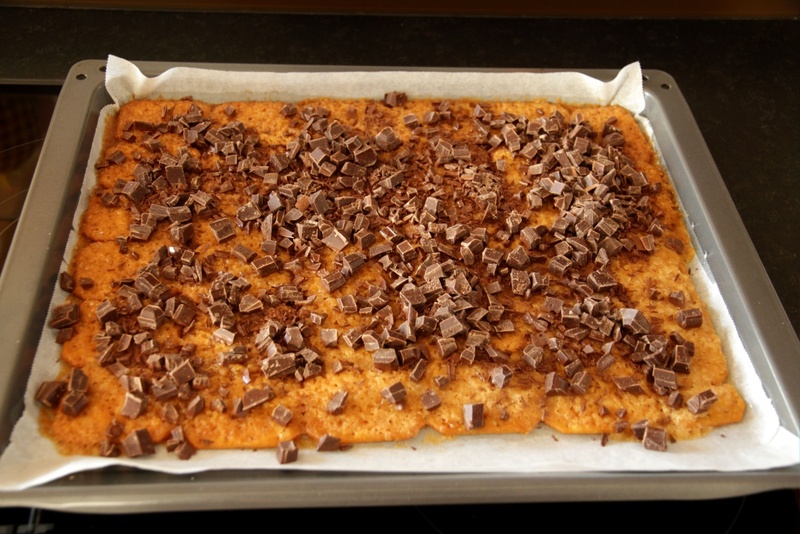 Remove from the oven and spread the chocolate evenly over the toffee. 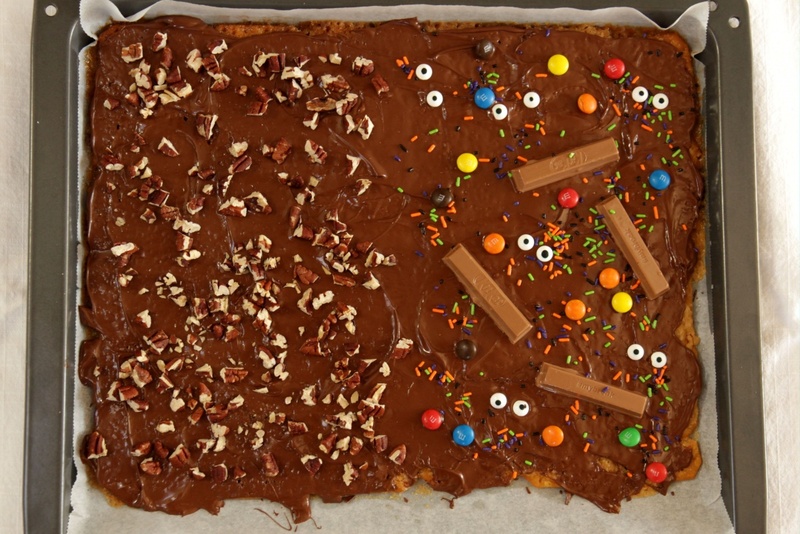 Sprinkle with nuts, colored sprinkles or sea salt. Let the chocolate harden (chill for 1 hour) before cutting into pieces. Keep in an airtight container at room temperature. Recipe adapted from Dinners, Dishes & Desserts and Brown Eyed Baker. My chocolate seemed to get spots all over it by the next day, as anything made with chocolate chips sometimes does, so just keep that mind if you plan to take them anywhere. Thank you for sharing that. It hasn’t happened to me but I know what you mean. If it bothers you, I think you could prevent the chocolate from getting spots or streaks by tempering it before pouring it over the toffee. There are great instructions for tempering chocolate on the internet.